When it comes to travel apps, there are a handful out there that aggregate and show us all the prices of plane tickets from airlines around the world. Notably, there’s Skyscanner and KAYAK of course. However, most of us don’t really use them. Why? Simple: low cost carrier (LCC) airfares are under represented on all these flight metasearch engines, because the margins are too low on budget plane tickets and ticket price aggregators are not motivated to show flight results from these budget airlines. Recognising this and the demand for budget plane tickets, our friends over at TripZilla recently launched an app called FlyZilla to aggregate all prices and deals from budget airlines. Mobile users can also install FlyZilla’s native mobile app to easily compare airfares and discover flight deals on the go. 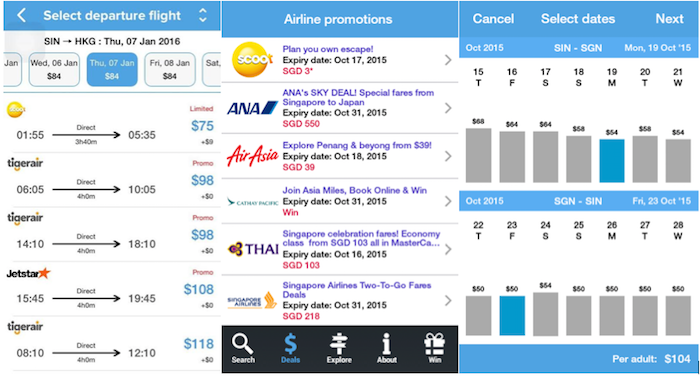 Unlike Skyscanner and KAYAK, FlyZilla focuses on LCCs and budget airfares. LCCs account for over 30% of all commercial aircraft in Southeast Asia, and serve over 60% of intra-Southeast Asia seats. Editorial Update: Skyscanner has gotten in touch with us and shared that they do show LCCs on their site. For all Skyscanner search results, travellers see the cheapest prices first and this sometimes include LCCs if their prices are indeed the cheapest based on the search results. According to the press release, FlyZilla Beta launched in April 2015, and has garnered over 10,000 app installs and served over a million searches to date. Users have said that they love the air ticket giveaways and push notifications of flight deals on the app. Miranda Zhang, head of communications for FlyZilla, also shared with Vulcan Post that FlyZilla was started a year ago and currently only covers outbound flights from Singapore. This means that if you want to check for return flights to Singapore, or for outbound flights from any other country, you will be unable to do that for now. The reason behind this is simple: FlyZilla wants to focus on all outbound travelling Singaporeans, providing them with a full coverage of all low cost carriers. 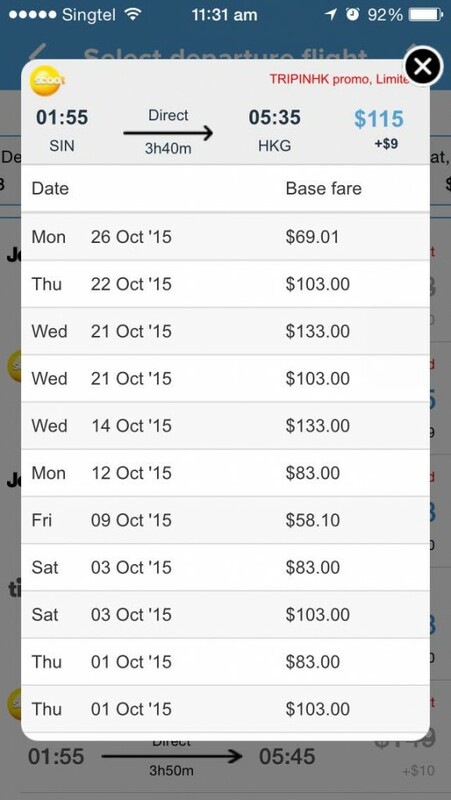 “As we specialise in budget flights from Singapore, we can get more accurate/updated fares. We have plans to expand the same model to different countries around the region, starting with Malaysia and the Philippines,” added Miranda. FlyZilla makes a lot of sense, especially as travellers these days are becoming more sensitive towards the cost of plane tickets. And with younger travellers embarking on more around-the-world trips, we would expect FlyZilla to quickly become the default platform for LCC plane tickets comparison. FlyZilla is an additional service launched by parent company TripZilla, which is a tour package aggregator site in Singapore. TripZilla is also behind the TripZilla magazine, and collectively, the TripZilla platform reaches 15 million travellers annually. With the year end travel season coming, have you bought your flight tickets yet?